Joan B of Dear Paperlicious totally inspired me with her card here, to use hot pink, orange and yellow together in this fun and graphic design. This is an almost-one-layer card - just a stamped panel on a hot pink card base, no embellishments at all. I used my newly acquired MISTI to get a perfect impression on the sentiment - this thing is awesome! I've taken the warm colours from the graphic, and am also playing along at the 'Less is More' colour challenge for week 227 where the theme is 'Sunset'. 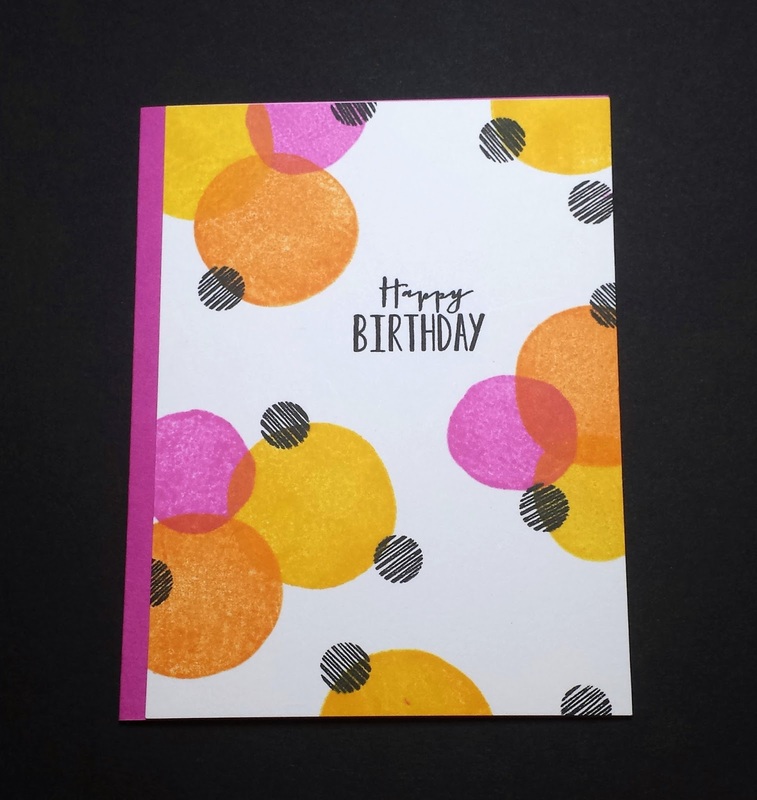 Love this design with those big dots of happy colour. Gorgeous graphic design and love your sunset shades!